Wedding in Thailand | The world's top choices for couples. Holding your wedding in Thailand allows you to experience one of the happiest days of your life in a picture perfect setting, surrounded by family and close friends but with a touch of colourful culture added to make the day extra special. Thai people are by nature gentle and welcoming and this is reflected in their service approach, which at its best comes with a commitment to meet every request and adapt to the needs of others. This means couples and their guests can enjoy a stress free wedding experience amid stunning tropical surroundings, and in many cases, family and friends stay on well after the wedding day to make the most of Thailand's diverse attractions and special appeal . 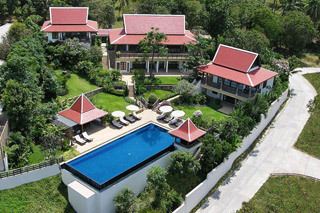 Thailand's main resort destinations like Phuket and Samui now offer an incredible range of top quality accommodation, with some options, such as private villas also providing the ultimate venue for a dream wedding. For those looking for the ultimate personal experience, a luxury villa is hard to beat is hard to beat for several reasons. 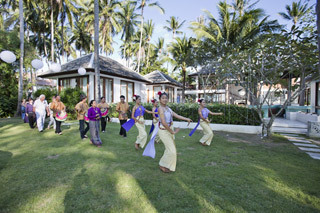 The range of wedding options now available to couples in Thailand is as varied as the venues on offer. They can be married by a priest, by oranges-robed Thai monks or a trained non-secular celebrant. Wedding agencies like the Signature Weddings have also created dedicated packages, as well as bespoke services specifically tailored to each couple's personal tastes and cost requirements. "Professional wedding planners, skilled chefs, photographers musicians and florists can be hired to take care of the details"
Unlike some other countries, Thailand is open to all religions and the ceremony itself can be conducted according to the couple's faith and personal beliefs. After the knot has been tied, guests can return to their private villa to dine, dance and celebrate the union in style and comfort. International DJs are on hand to get the party started and fireworks, traditional lanterns and candles guarantee an atmosphere of romance and joy. Even with the cost of plane tickets and accommodation, a wedding in Thailand represents excellent value when compared to the price of holding a similar event many other countries around the world. The combination of stunning surroundings, fabulous service and the added appeal of a sophisticated tourist infrastructure, make Thailand one of the world's top choices for couples looking for a wedding to remember.